A Taste of Tuscan Classics at Catelli Duo! 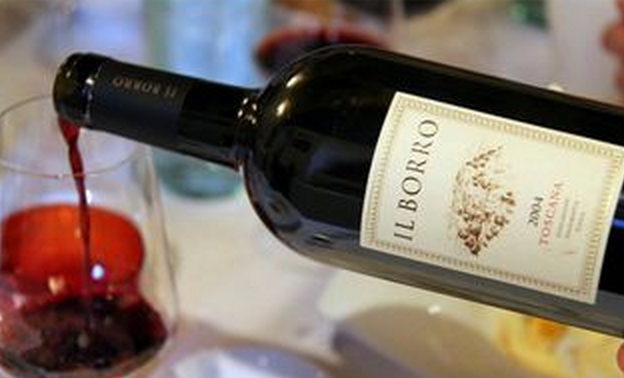 On Wednesday, October 1 at 6:30 PM , please join Chef Lou Imbesi and the team at Catelli Duo for a very special dinner showcasing the wines of Il Borro. Chef Imbesi’s menu will represent the equally prolific culinary traditions of Tuscany, featuring traditional dishes like Pappa al Pomodoro, aka Tomato and Bread Soup, a fresh take on Osso Bucco, and a perfectly executed, classic pairing of grilled strip steak with Il Boro’s Pian Di Nova blend. Click here to see the menu. Reservations for the Il Boro wine dinner can be made by clicking here or by calling the restaurant at (856) 751-6069. The four course dinner is $70 per person (tax and gratuity not included). 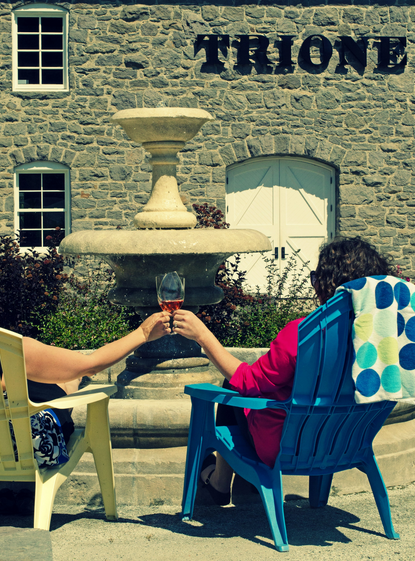 The Yardley Inn is just like a fine wine, it only gets better with age. On Thursday, September 18, the Inn will be hosting an entire dinner featuring fine wines produced by the California-based Trione Winery. Guests are invited to join Denise Trione starting at 7 pm to taste a variety of wines while enjoying a five-course meal for $75. The first course to kick-off the night will be grilled apples with thyme honey and fresh cheese paired with a Chardonnay Trione Wine. Following that Chef Eben Copple will prepare Quail en Croute which will be served with a Pinot Noir. A dish of black cavatelli, wild boar sugo, and plum will follow as the third course with a glass of Red Wine. The main plate of the evening, which will be paired with Cabernet Sauvignon, will be Oak charred Short Ribs and crispy rice, topped with a sage ssamjang sauce. To finish off the night, guests will be served a decadent slice of fig tart and a smooth cup of coffee. It’s sure to be a night filled with delicious food and warm laughter so gather your friends and family for a night you won’t forget. For reservations visit www.yardleyinn.com or call 215-493-3800. 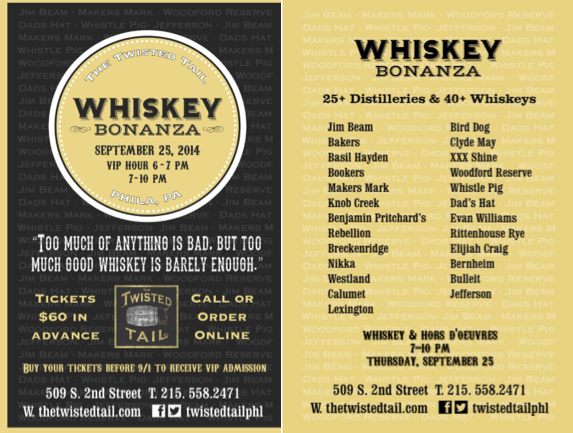 Head to The Twisted Tail on Wednesday, September 25 for the eatery’s spirited Whisky Bonanza. The Southern inspired Bourbon House and Juke Joint is the place to go for modern Southern cuisine. It features a plentiful bar, fine whiskeys and cocktails and live blues music. The Whiskey Bonanza will feature more than 25 distilleries serving up more than 40 different spirits, including Rittenhouse Rye, Clyde May and Buffalo Trace. As if that isn’t amazing enough, select your favorite cocktail in a competition for area bartenders. There will be blues music, Southern inspired hors’ devours by Chef Leo Forneas, and cocktails galore! Tickets cost $60. Take a hint from George Reilly, The Twisted Tail’s proprietor. He thinks, “Too much of anything is bad, but too much whiskey is barely good enough!” The Twisted Tail is located at 509 S. 2nd Street, Philadelphia, PA…Visit thetwistedtail.com for details or call 215.558.2471! 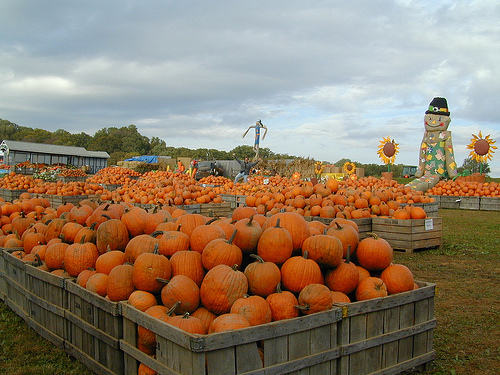 As the season begins to transition into fall, Pumpkinland at Linvilla Orchards opens! Now through November 9, Pumpkinland is open from 8 a.m. to 7 p.m. daily. There will be tons of family fun for everyone to enjoy. Philadelphia Welcomes Its Newest Hot Spot! As the summer comes to a close, Dilworth Park is ready to cut the shiny ribbon. With the grand opening of the re-vamped park on Thursday, September 4th comes many new features for Philadelphians and tourists to enjoy. A brand new fountain has been installed with three-foot-high spouts for kids of all ages to run through. In addition, a Plaza Café will open called Rosa Blanca. Located along the JFK Boulevard side of the park, the Cuban diner themed café will offer light meals and outside seating for people to take in the sights of Center City. Philadelphia is widely known for its art, so of course it is only fitting that there will be an installment of public art. Pulse, designed by internationally recognized artist Janet Echelman, will emit different colored mists associated with each underground train as it passes underneath. Echelman uses a dry mist allowing pedestrians to walk through the mists without getting wet. 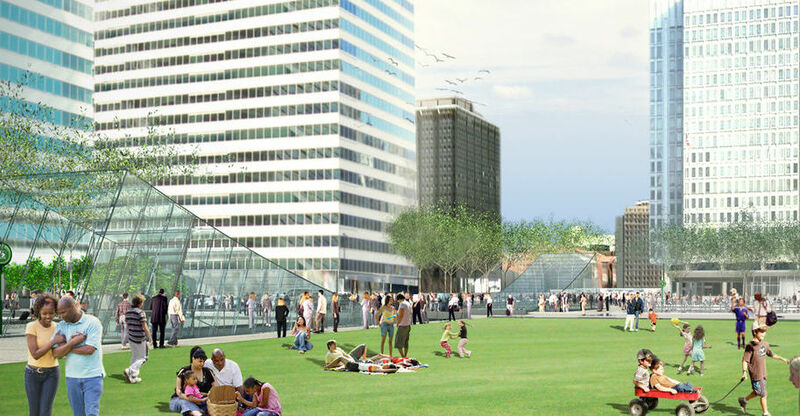 The Great Lawn will surround the underground Septa entrances and will allow people to read a book, set up a picnic, or just take a break from a busy day. As the winter months approach the updated park will be ready for the frigid weather with a brand new ice-skating rink. The rink will completely cover the fountain space and give people a chance to show off their skills, or lack thereof. The park will be open seven days a week from 6 a.m. until 1 a.m. For more information about the new developments at Dilworth Park, visit here.